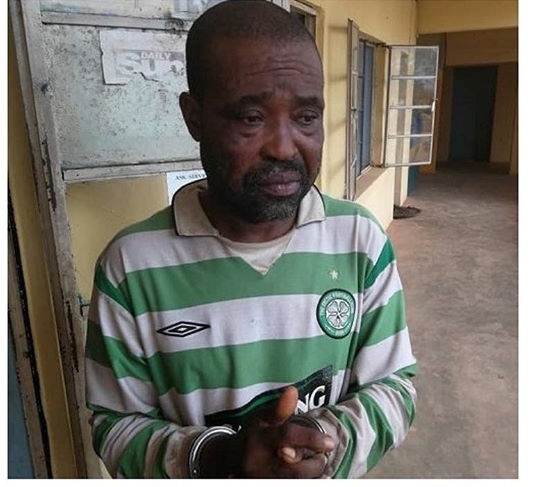 A 45-year-old man, Julius Ochim, has been arrested by the Ogun State Police Command for allegedly impregnating his own daughter, who eventually gave birth to a baby girl. He said on interrogation, the suspect confessed to the crime but blamed it all on the devil’s handwork. He reportedly confessed that he had been sleeping with the young woman since the demise of his wife. The police spokesman added that the suspect disclosed that he started having ‘problems’ with the victim when she started going out with ”another person whom she said she want to get married to”.